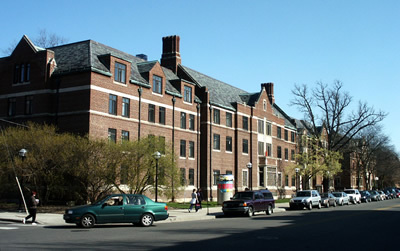 East Quadrangle is an approximately 300,000-gross-square-foot residence hall housing approximately 860 students and the Residential College. The renovation will update infrastructure, including: new plumbing, heating, cooling, ventilation, fire detection and suppression systems; wired and wireless high-speed network access; renovated bath facilities; and accessibility improvements. New and reorganized spaces within the facility will revitalize the old residence hall and improve dining facilities. Since its inception in 1967, the Residential College has occupied spaces within East Quadrangle not originally designed for academic use, with offices and administrative functions housed in former bedrooms and most classrooms located in the basement.